Ever since Marvel has been making movies, Stan Lee has popped up in nearly every single one. Whether playing a subtle background character or delivering a snarky one-line character, the 92-year-old comic book hall of famer pops up in any and all Marvel projects when fans least expect it. And when he does apear, you can feel the joy of diehard fanboys and fangirls fill the theater. From Guardians of the Galaxy to Agents of S.H.I.E.L.D., Lee has become a staple in every Marvel project — and I don't see it stopping any time soon. The Stan Lee cameo in Ant-Man is a quick one that happens towards the very end of the movie — and gives a very good laugh. A funny, blink-and-you-miss-it cameo from the comic legend is hardly unexpected, but for awhile, his appearance in Marvel's latest film wasn't definite. In a Youtube interview in June, Lee said he didn't have a cameo in Ant-Man , which was bad news for the masses who look forward to them each movie. Luckily, things changed, and Lee decided to make an appearance in the biggest miniature superhero movie to date (spoilers to follow). Towards the end of the movie, Scott Lang's (Paul Rudd) buddy Luis (Michael Pena, who's hilarious in the role) is telling him a story about how Falcon (Anthony Mackie) of The Avengers asked about Ant-Man's whereabouts. 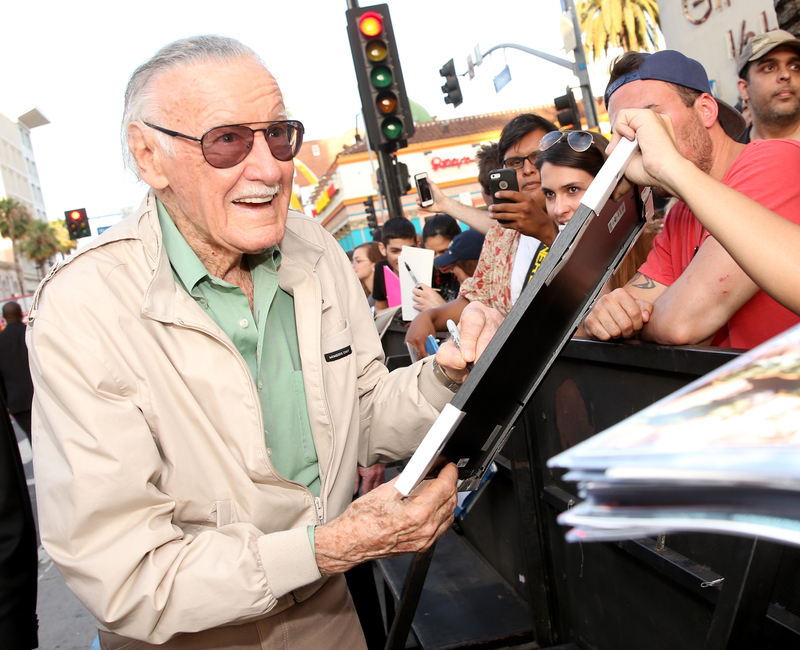 During Luis' long-winded, he-said-she-said voiceover of events past, viewers quickly see Stan Lee as a bartender, mouthing the words Luis, in real time, says to Scott. Seeing Lee talk with Luis' voice will throw you for a loop, to say the least. This was the first ever Stan Lee cameo I remember in a Marvel movie. Even though he was just a hot dog vendor that doesn't speak a word, his presence alone made me smile. A Stan Lee cameo that involves attractive women — not exactly unusual. The movie was pretty bad, but Lee's cameo was fun. As his character was saved by young Matt Murdock from walking into the street, he didn't speak a word. The appearance came as a surprise, and helped make the movie a lot more enjoyable. Hugh Hefner has nothing on Stan Lee. This is another one of those cases where a mediocre movie was elevated by a comedic and light-hearted appearance by the man who created the characters unknowingly fighting behind him. Lee made a cameo as Willie, the mailman for the Fantastic Four. This was one instance where he played an actual character that was written in the comic books. Another comedic bit by Lee that not only gave levity to the movie, but reminds viewers of their own grandfathers. This is not a Marvel or comic book movie, but a romantic comedy. It is set in the comic book world, though (t is directed by Kevin Smith, so would you expect anything less?). In the cameo, Lee gave Jason Lee's character some profound relationship advice, making it one of his most significant cameos ever. Stan Lee in animation form in one of the best superhero movies of 2014? Yes, please. It doesn't get any better than seeing Stan Lee challenging Thor to a drinking contest and then getting dragged away while saying his trademark motto, "Excelsior!" Over the years, the comic legend has become one of the most important actors in all Marvel's movies. It's safe to assume that Ant-Man definitely isn't the last fans have seen of Stan Lee cameos.